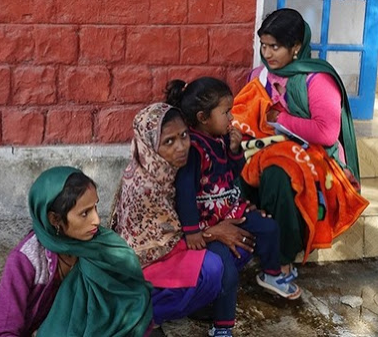 A fake doctor treating poor villagers in northern India for colds, coughs and diarrhea has infected at least 33 of them with HIV by using contaminated syringes and needles, a health official said Tuesday. The health official, Sushil Choudhury, said police were looking for Rajendra Yadav, who fled Bangarmau, a small town in Uttar Pradesh state, after the HIV infections were detected in December last year. A sudden spurt in HIV cases in and around Bangarmau detected in December last year alerted state authorities. "An investigation showed that almost all of them had taken injections from one person," Choudhury said. "This was an important lead. We set up special medical camps in villages in the area and checked 566 people, and 33 were found to be HIV positive." Mehtab Alam, a project manager for Raza Hussain Memorial Charitable Trust, a group that works with HIV and AIDS patients in the region, said that fake doctors do not use disposable syringes, instead using glass syringes and one needle to inject hundreds of patients. "Villagers are ignorant about hygiene," Alam said. 0 Response to "Indian Fake doctor infects 33 poor villagers with HIV using contaminated syringes"